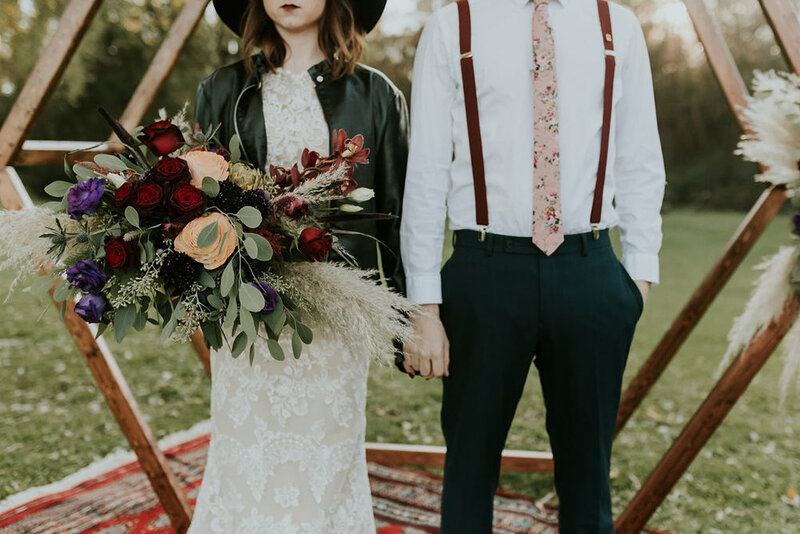 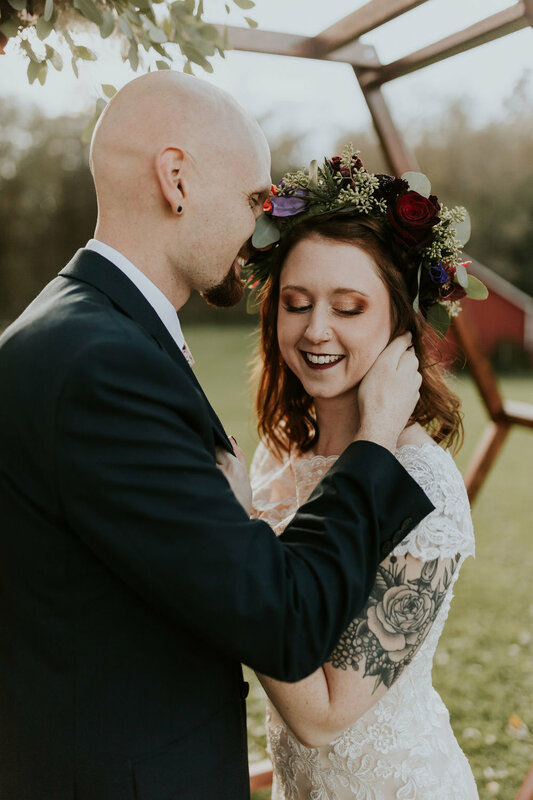 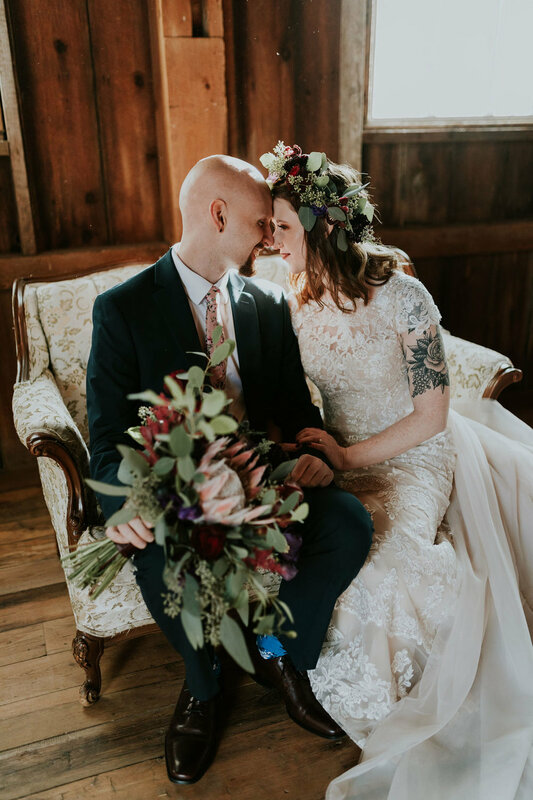 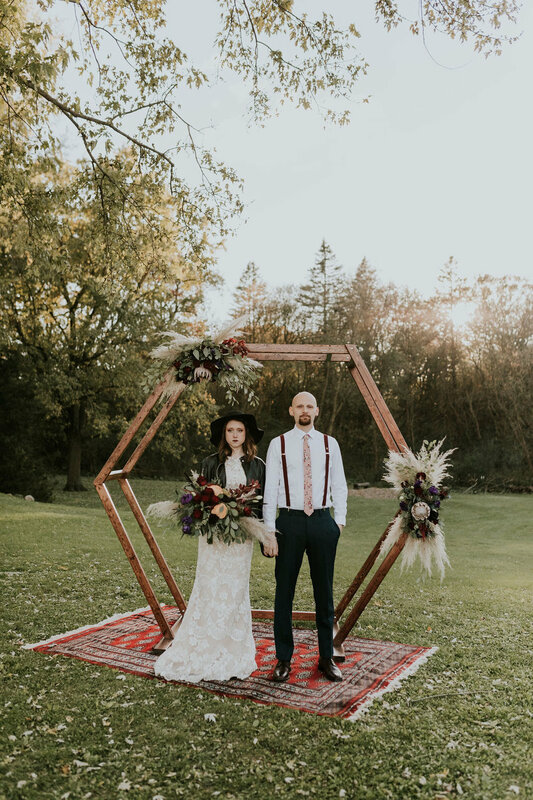 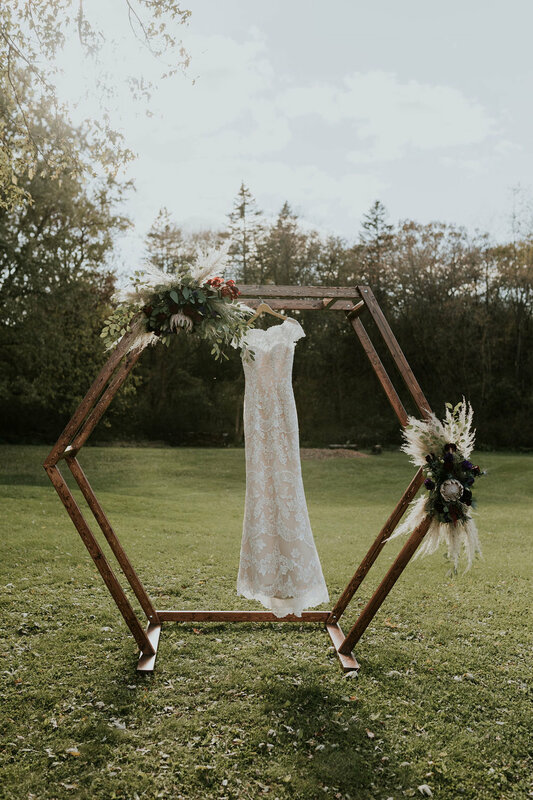 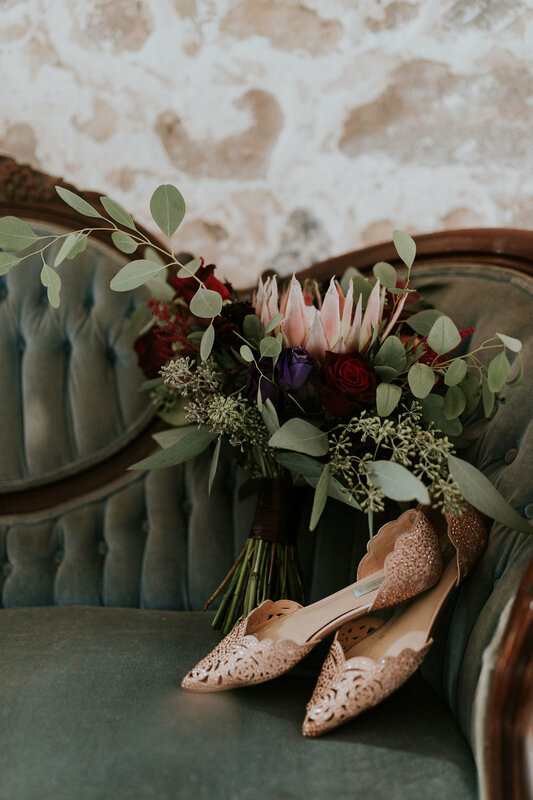 Our inspiration was the eclectic, barefoot and free Midwest bride, bold florals and vintage touches. 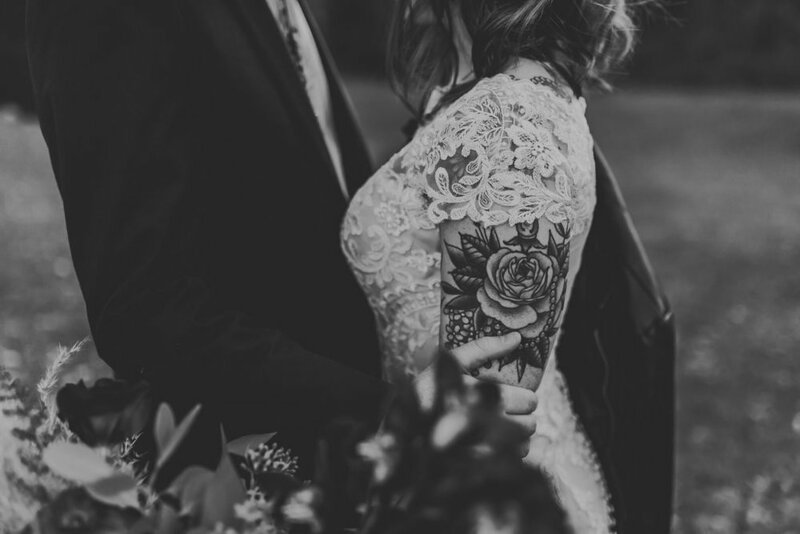 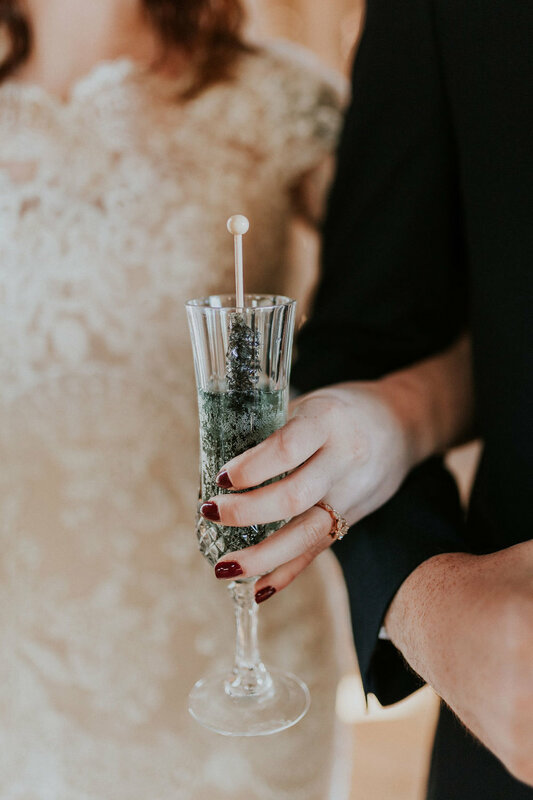 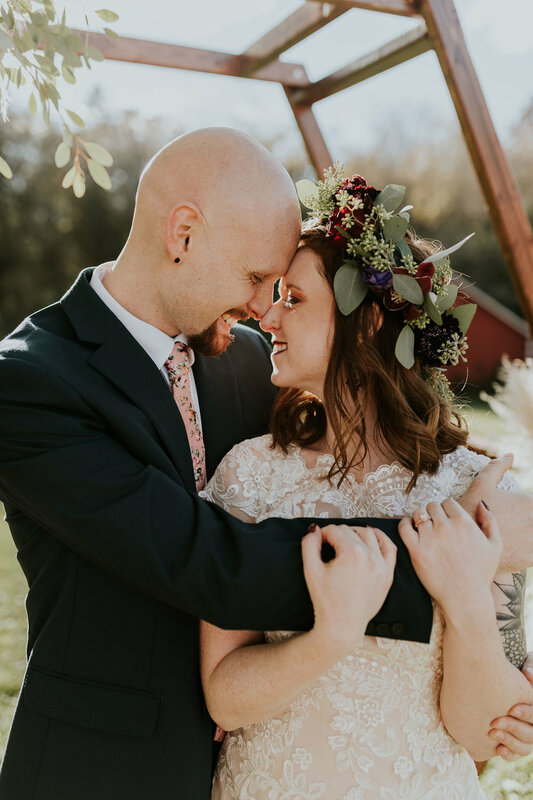 We wanted to tell a story that had an elopement, intimate feel, that was attainable for the Wisconsin bride! 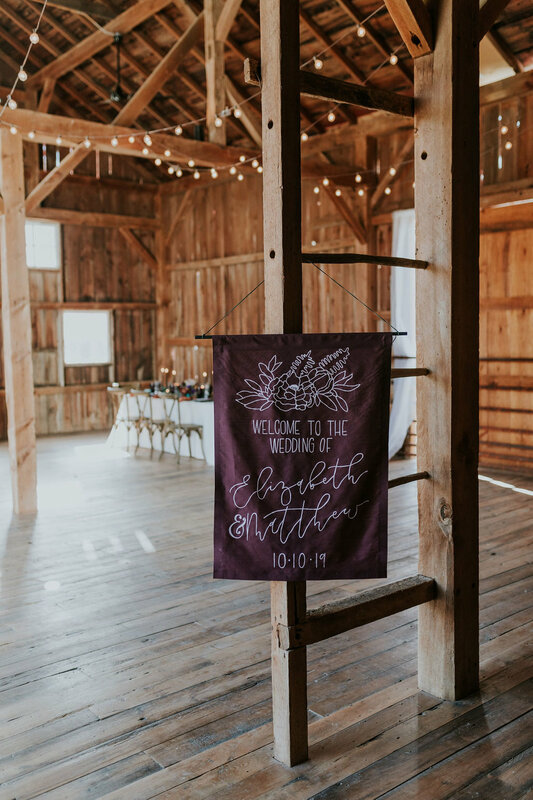 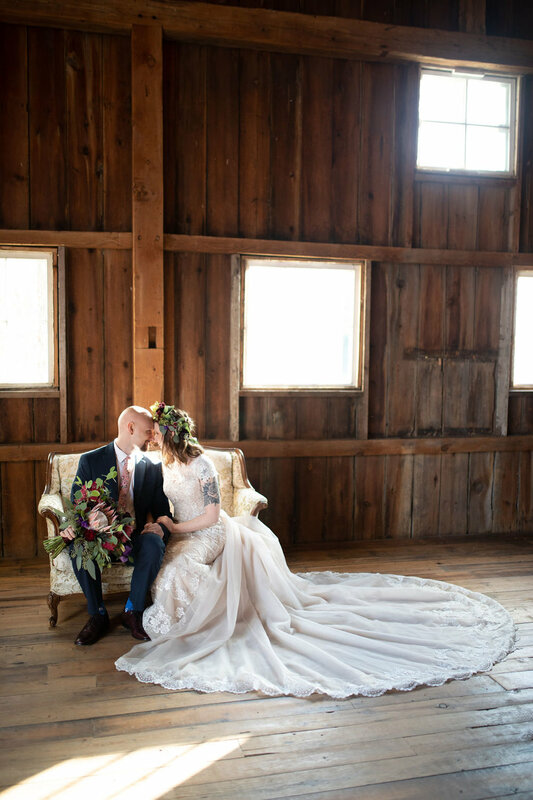 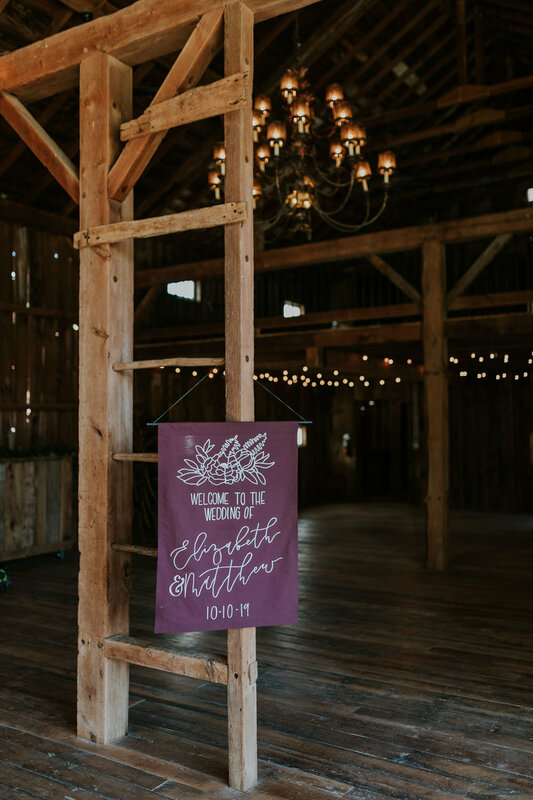 We chose the venue The Barn at Wagon Wheel Farm in Burlington for it's modern take on a barn with vintage touches. 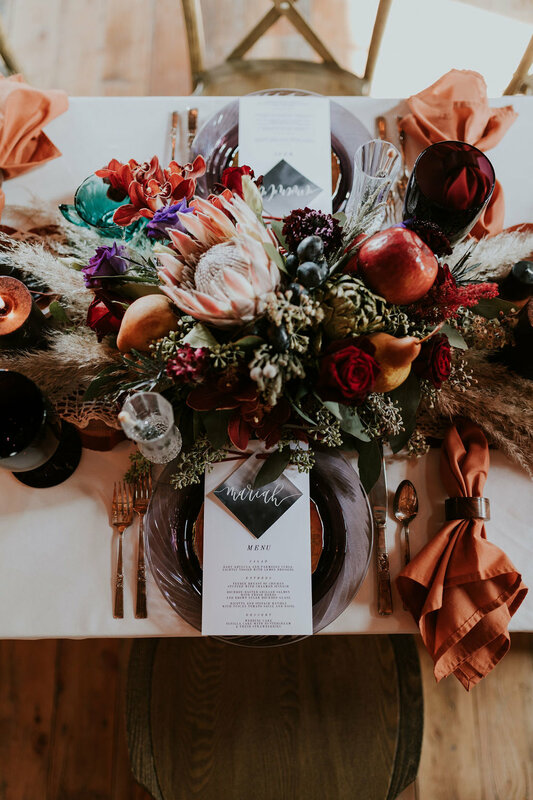 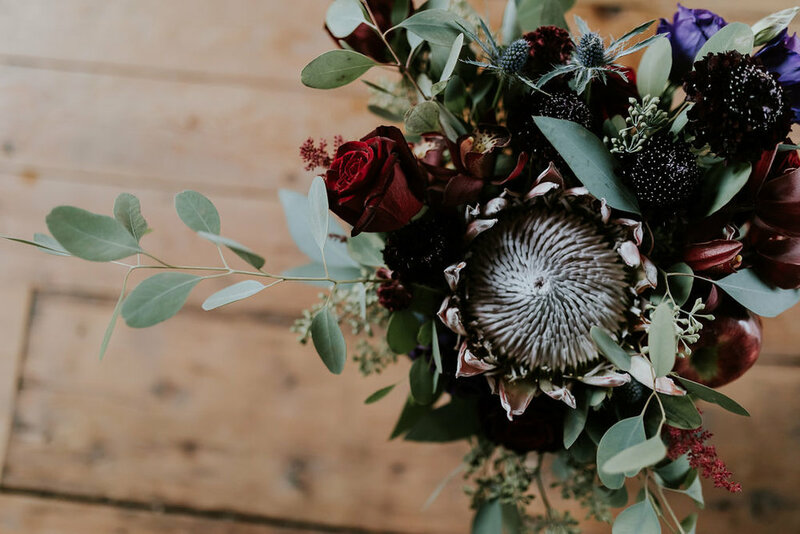 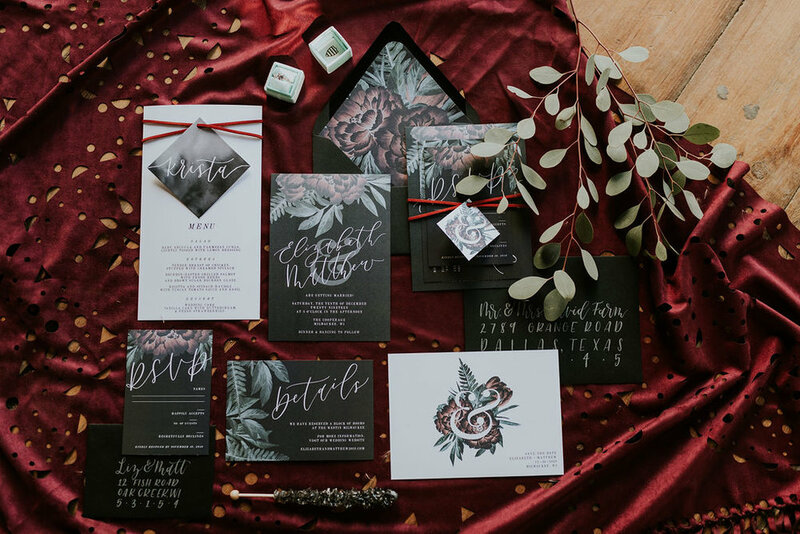 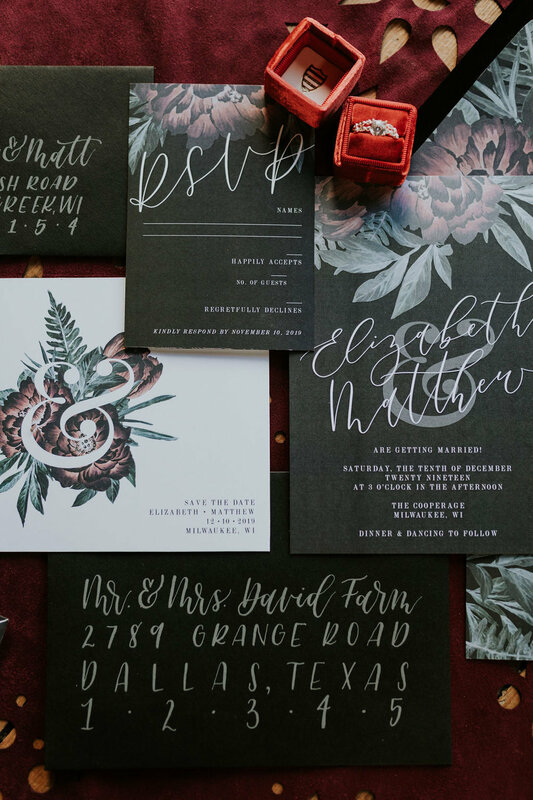 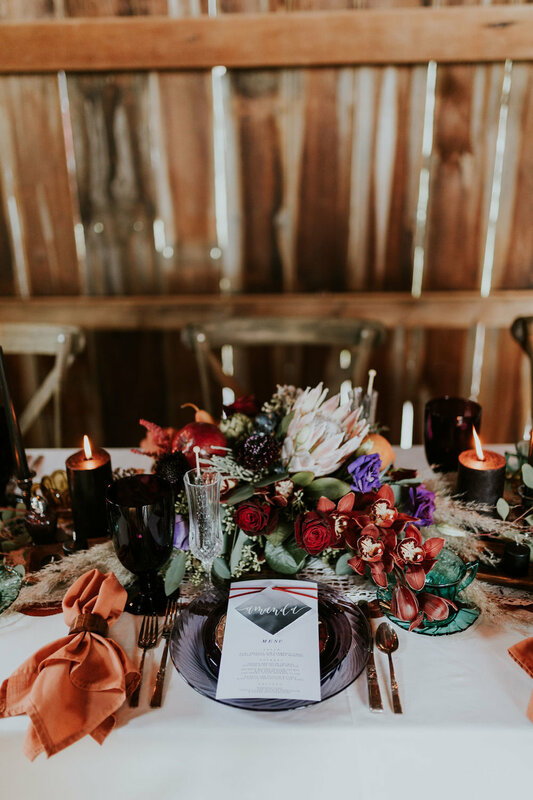 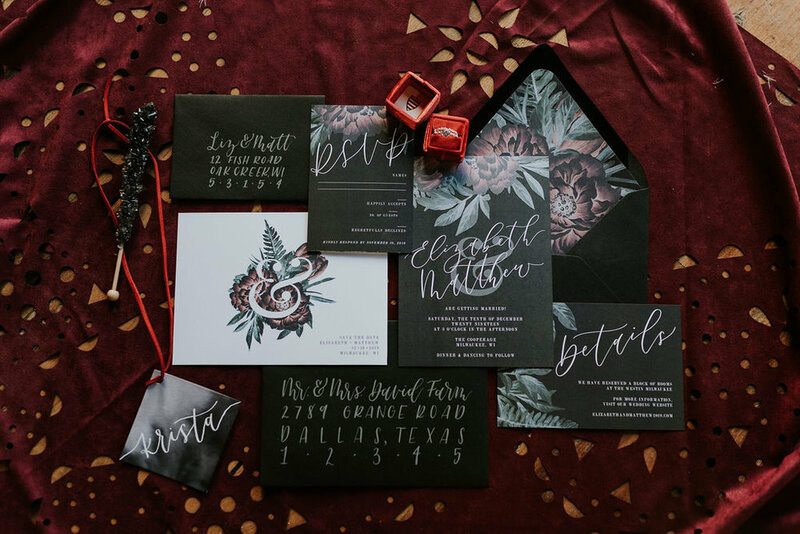 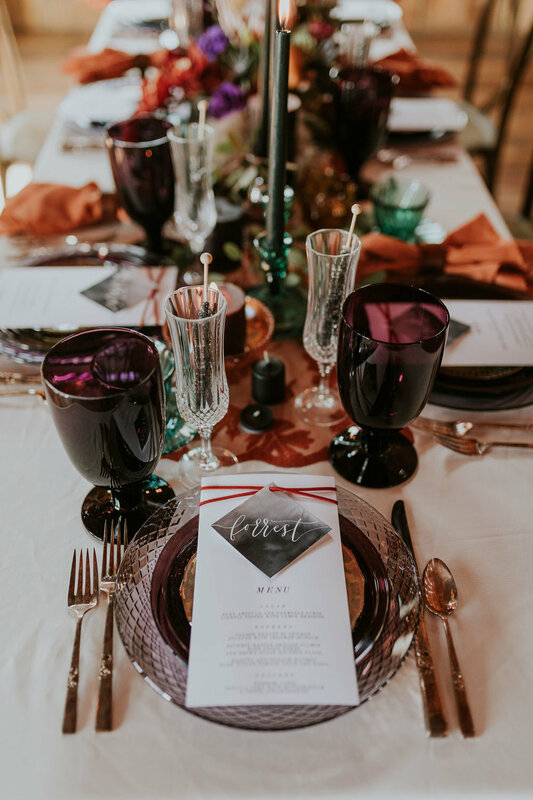 The dark wood aesthetic, and jewel tones of the tablescape went perfectly with our deeply in love and moody couple. 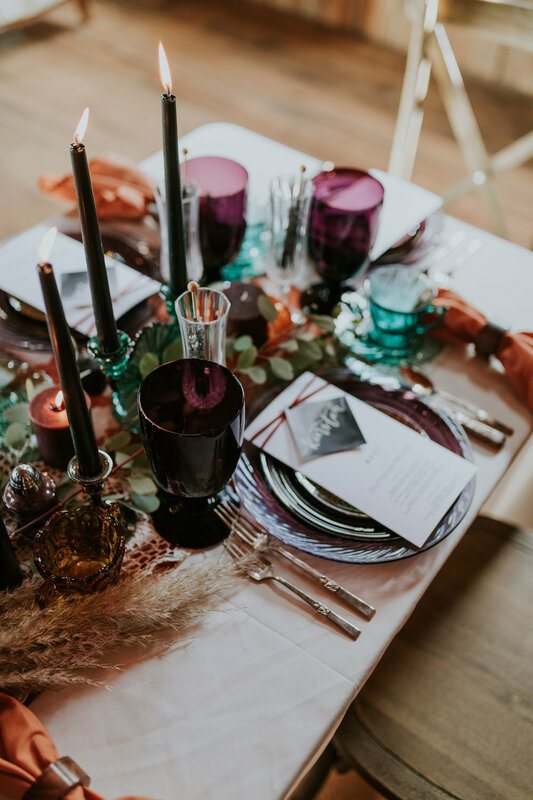 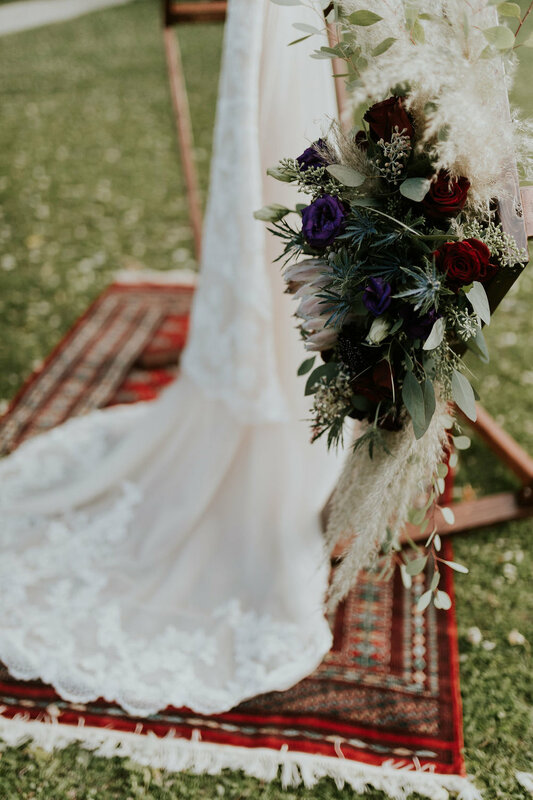 The bold floral arrangements and pieced depression glass tablescape gave the impression that the bride hand chose and set every bold piece herself, giving inspiration to the bride who has a bohemian vision and wants to add her own personal touches.